Visual learner? 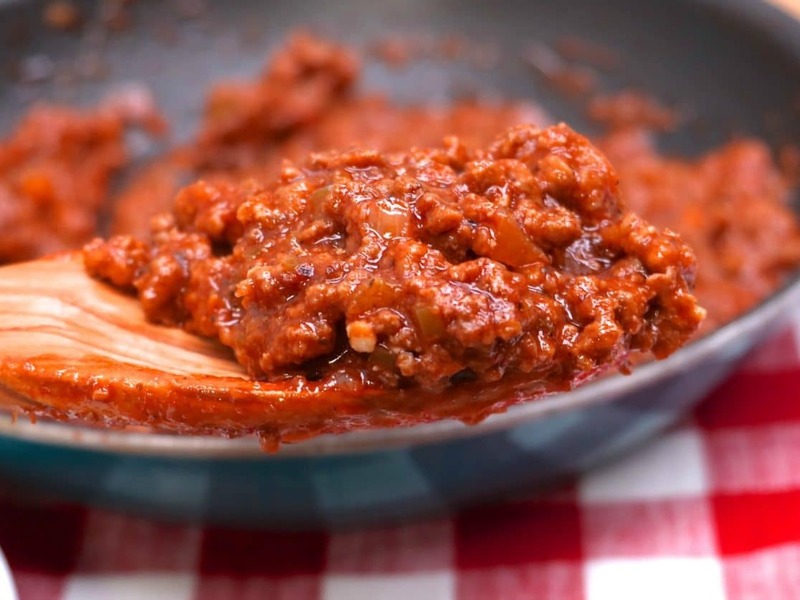 Watch me make these homemade sloppy joes from start to finish! Let me tell ya something about my dear, sweet husband; the man is obsessed with tater tots and hash browns. Like y’all, I’m talking really obsessed. I never ask him for side dish suggestions because I already know what he’s gonna say. He could seriously live off of tater tots for breakfast, tater tot burritos for lunch and tater tot casserole for dinner. Not even kidding. I don’t share his passion for tots, but there is one meal where I absolutely MUST have tater tots, and that is SLOPPY JOES! 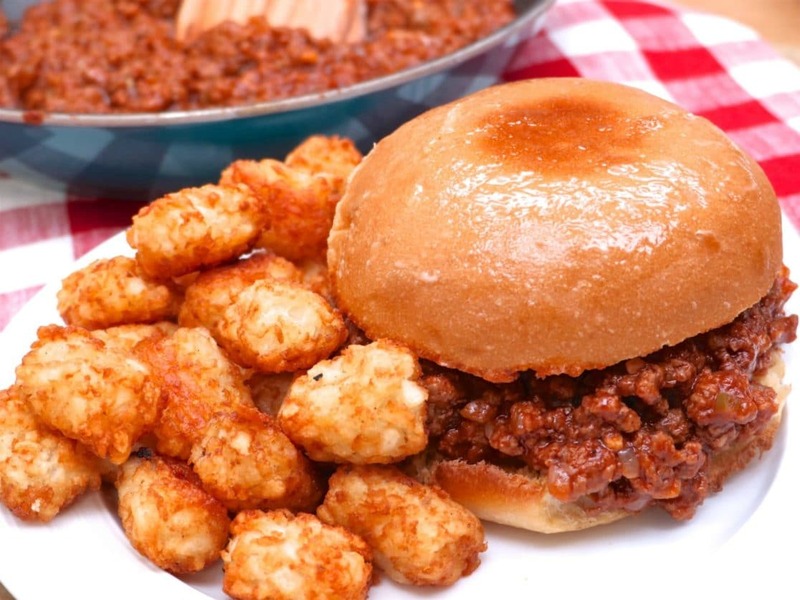 Because for real though, what other side dish goes better with sloppy joes than tater tots? Nothing! Absolutely nothing I tell ya! Sloppy joes were a regular meal when I was growing up. I didn’t appreciate them until I got older. 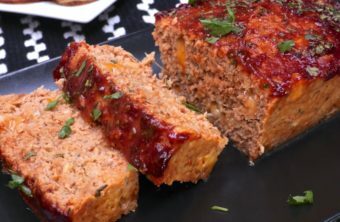 My grandmother always made them from scratch and it was her go-to meal the day after a cookout. She would use the leftover grilled burgers and create the most savory sloppy joes. Keep that in mind if you have leftover cookout burgers. Grilled sloppy joes are amazeballs! Last week I made these downright delicious sloppy joes and couldn’t wait to share them with you. I have another sloppy joe recipe on my blog as well, but this one has all the yummy add-in’s like onions, garlic, celery, and peppers! It’s the type of recipe that tastes great the day you make it but is “ohmagerd” good the next day. All of those onions, garlic, peppers, and spices have had a chance to become really acquainted. I usually make a double batch so that we’ll have some for the next day or for the freezer. 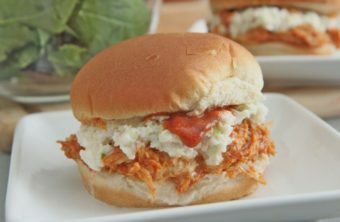 The liquid smoke and light touch of brown sugar give these sloppy joes a slightly sweet and smokey taste that I love. Not to mention the tang from the mustard and savoriness from the spices! They are amazing! Serve them with tater tots and a fresh salad, and you’ve got yourself an easy, quick dinner that the whole family will love! Wanna dress these Sloppy Joes up a little? Try on some these for size! Want that slight sweetness without the brown sugar? Add some minced carrots. Like Worcestershire sauce in beef? Add in a few teaspoons. Brush the buns lightly with garlic butter and toast. Add bell peppers, onions and celery and saute until tender. Add garlic and saute until fragrant (about 2 minutes). In the same skillet, brown the ground beef, add in several splashes of liquid smoke. Drain the ground beef (leave beef in skillet) and stir in the cooked vegetables. Set aside. In a bowl, stir together tomato sauce, ketchup, mustard, brown sugar, Italian seasoning, paprika, cumin, chili powder and black pepper. Add sauce mixture into the skillet and stir until everything is combined. Simmer for about 5 minutes (stirring occasionally) and then cover and turn off the heat to allow the sauce to thicken. Serve tater tots and a side salad. Feel free to double the spice mixture for more flavor! Like Worcestershire sauce? Add a few teaspoons. Like BBQ sauce? Try swapping half the kitchen with BBQ sauce.